Anita Painter Campbell River Realtor will sell your home fast and for top dollar! My combination of skills, experience, and technology ensures that I can sell your home for the highest possible price and in the shortest period of time. I have the tools to meet the demands of the highly competitive, modern market. My website contains enhanced property information about all the listings in my portfolio of homes for same in the Campbell River area. Available 24 hours a day, your listing can be accessed on my website by a large number of active buyers. I make it easy for buyers to contact me about properties for sale and I respond immediately, directly and personally to every prospective buyer. Sign up to receive special advice and important details about the real estate market in Campbell River, Vancouver Island. Local real estate market expertise, in-depth knowledge of current and historical market activity, a comprehensive and strategic marketing plan, access to a database of buyers ready to buy right now, a proven track record of success and the ability to negotiate fear-lessly on your behalf are just a few of the reasons why you would choose an agent. RE/MAX has what you need to sell your home and help you find the right one to buy. Real estate is what I’m passionate about.  As a RE/MAX agent I’m dedicated to serving you and offering you additional expertise not found at other real estate firms. Through our massive online, television, outdoor and print ad campaigns, prospective buyers go to our websites remax.ca and global.remax.com to search for listings in their cities and towns. Each year approximately 5.2 million ads are planned for Western Canada, generating valuable exposure for your listing in possibly 80 countries around the world. If you’d like to check out a property on the go, check out remax.ca or my website anitapainter.com. No need to download any extra applications, remax.ca and anitapainter.com are designed to be compatible with all smartphones. You’re able to login to your account, view your favorites and do virtually anything you can do on a desktop. ** Year end 2013(listing sold, MLS) statistics compiled by independent research. There’s more to selling a home than putting an ad in the newspaper and a sign in the yard. Did you know that only 8% on qualified out of town buyers come from yard signs, and only 9% from newspaper ads. Most qualified buyers are generated by Real Estate Professionals through referrals, past clients, various proactive marketing activities and MLS. In other words, most buyers are generated from a pool of buyers who have been professionally nurtured and developed over time. 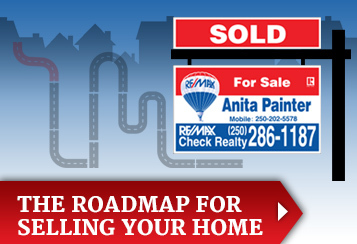 Check out my Roadmap for selling your home, a step by step guide!